Jessica Jones season 3 is happening on Netflix. The streaming service has carved out their little piece of the Marvel Universe and they're going to keep it going for as long as they possibly can. 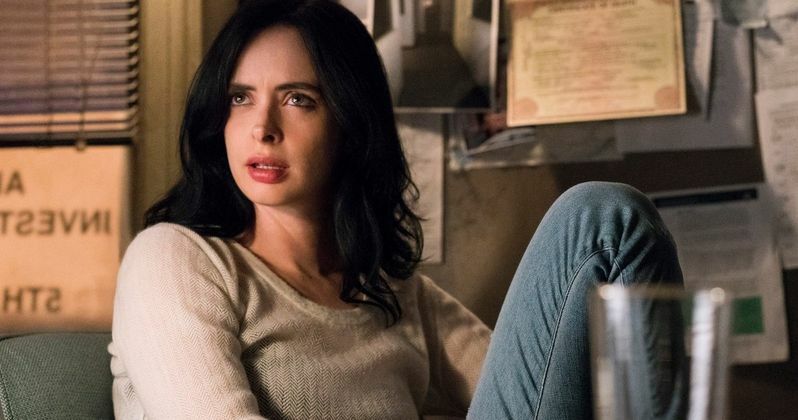 Jessica Jones has been one of the more successful Marvel shows for them so far and, after a hit season 2 debuted last month, Netflix has already announced that Krysten Ritter will be back for another round of fighting bad guys in Hell's Kitchen. This news comes just a month after Jessica Jones season 2 made its March 8 debut on Netflix, which was International Women's Day. The season has been well-received by fans and critics alike and was also somewhat groundbreaking. Every single episode of season 2 was helmed by a female director, which is very rare in Hollywood. It's unclear if they will implement that same strategy for Jessica Jones season 3, but it will certainly be an opportunity to showcase the talents of women in Hollywood both in front of and behind the camera. Krysten Ritter took to Twitter to confirm the news, posting a gif of herself from the series, along with this caption. Currently, there are virtually no details available in regards to what we'll see in Jessica Jones season 3. The latest season showcased a dark tone, following the character as she tried to put her life back together, following the murder of her tormenter, the villainous Killgrave. David Tennant returned as Kilgrave for Season 2, but it's unclear if they will have a role for him in the upcoming new season as well. Cast members who are likely to return include Rachael Taylor as Trish Walker, Carrie-Anne Moss as Jeri Hogarth and Eka Darville as Malcolm Ducasse. But there's always room for crossover with the other Marvel shows as well. This announcement comes as Disney, who owns Marvel, is working on launching their own streaming service next year. There were rumors at one point that the Mouse House was looking to purchase Netflix, but they decided to do their own thing. That is a large part of the reasoning behind their recent purchase of the majority of 21st Century Fox, which is still pending approval from regulators. When the streaming service was announced, there was doubt that the Marvel shows would stay on Netflix. However, it's been made clear since that what shows exist on Netflix now will always exist there. So Jessica Jones isn't going anywhere. Netflix also has Luke Cage season 2 and Daredevil season 3 in the works. Iron Fist season 2 and The Punisher season 2 have been ordered, but they haven't started production yet. As of right now, it looks like The Defenders was a one-and-done season, but there's still plenty of potential for the shows to crossover in the future. Netflix has yet to announce a return date for Jessica Jones season 3, but it would likely be late 2019 at the earliest, given their current schedule. You can check out Krysten Ritter's tweet for yourself below.